By now, you probably know about Citi Bike‘s woes in New York City: the damaged equipment, the broken seats, and—what else?—oh, right the money problems. But with a bailout reportedly imminent, and expansion likely next year, things are starting to looking up for the bike share system. And that’s not all—the blue bikes aren’t just expanding around New York, they’re headed down to the palm tree-lined streets of Miami as well. No, it’s not part of one giant, contiguous Citi Bike system, so you can stop planning that East Coast bike ride right now. 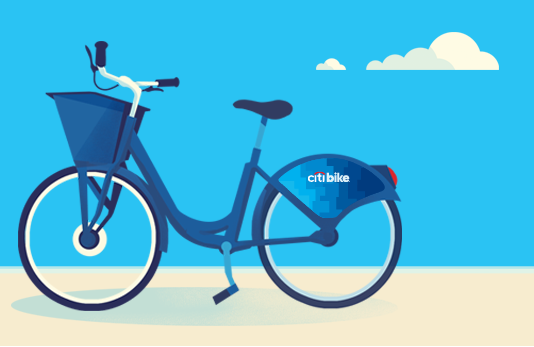 Instead, as Miami’s NewTimes reported, Miami Beach’s bike-share system dubbed “DecoBike” is expanding into the city of Miami next month and will be rebranded as Citi Bike. The new Miami system will have 750 bikes and be run by DecoBike.